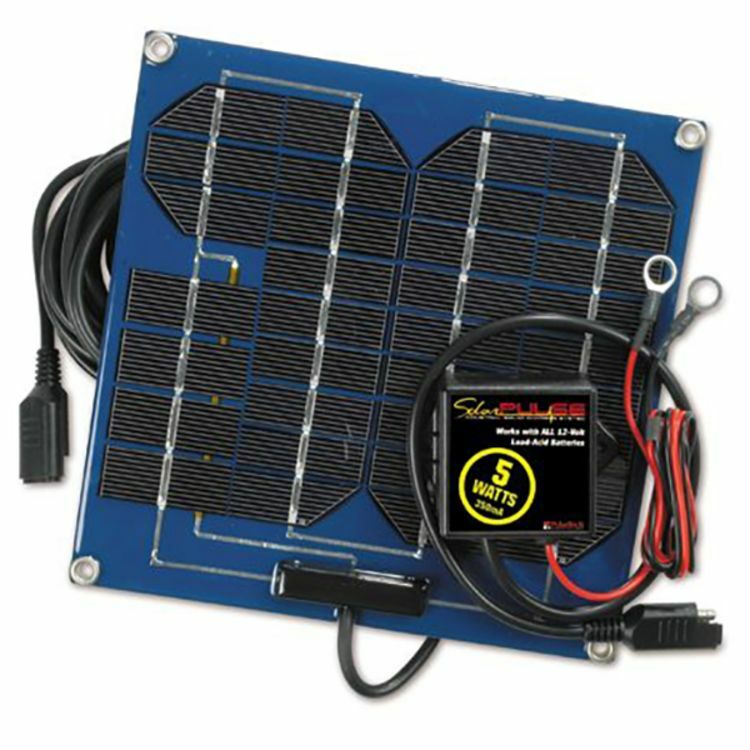 Industrial design 5 watt unbreakable solar panel with Pulse Tech patented pulse technology. Scientifically proven, our unique technology actually reduces the size of performance robbing lead sulfate crystals that form on all battery plates. By reducing the size of these damaging crystals, batteries can work at Maximum capacity even when your vehicle is sitting unused. Batteries work harder and longer than you ever thought possible. Our Technology has been used by commercial and military customers worldwide for 15 years. Only we offer this exclusive technology that gives you these benefits. 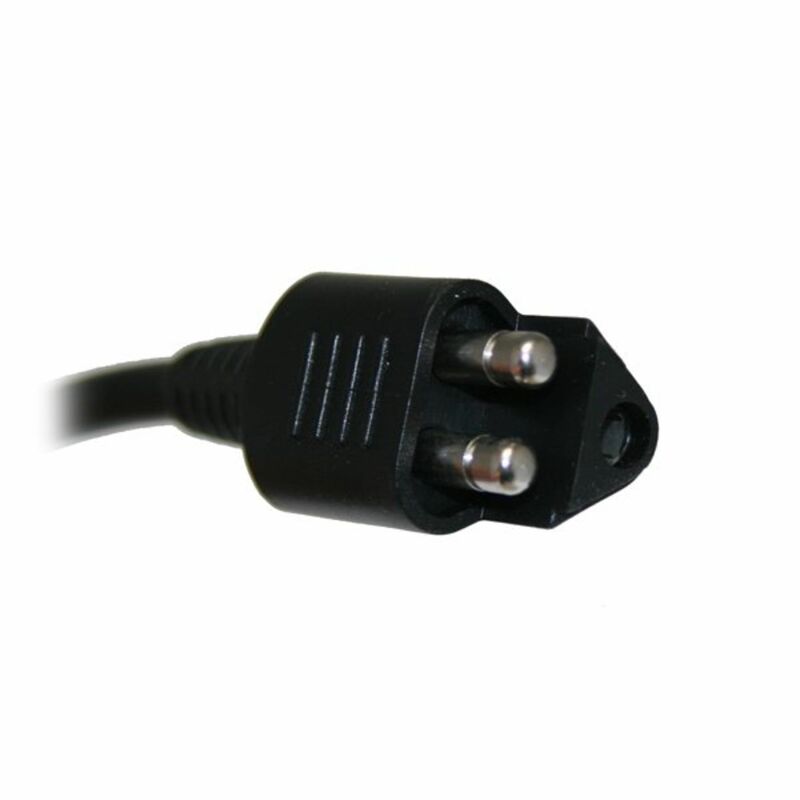 The SP-5 uses a 3-prong quick disconnect SAE adapter, notcompatible with Battery Tender type accessory and extension cables. Excellent for maintaining larger 12 volt batteries, average of 1.5 to 2.5 amps of trickle charge per sunny day. Do you own the SP-5? Please, tell us what you think about it. It helps us provide you with better products. Please note that it may take up to 72 hours for your review to appear. Pros: The battery for my Cabin's generator used to discharge regularly due to long periods without use. I was constantly jumping or replacing it, usually at the worst possible time. I installed the SolarPulse charger almost 2 years ago and it has never failed to start immediately ever since. I'm a believer. Cons: The lead has a washer type of battery connection requiring the use of pliers or a wrench to disconnect. That is no problem with the generator but it would be useful to have a quick connect for my skid steer, tractor or ATVs. Pros: My dad's tractor with loader gets used very little. The batteries were 6 to 7 years old by his estimation. They didn't have much life left but enough if you did things just right, it would start. I bought the SP-5 because the tractor has two car batteries connected in parallel and needed one that powerful. The tractor sat for about 10 months undisturbed with the SP-5 attached. My dad started it one day and phoned, asking me why I bothered to put new batteries in it. I told him what I had done and he only really believed me when he looked to make sure there were indeed, his old batteries. Myself, I was so impressed I bought two more PulseTech unit for other vehicles, and will be back for more for my motorcycles. This technology should be really helpful for people who are not on the electrical grid using solar panels with banks of lead/acid batteries. It should be able to give them many more years of life from their batteries. Pros: Easy to install and pays for itself in the savings of batteries you would have to buy without it. I have an old 1995 diesel F250 pickup that I use for hauling trash from around my house and for general hauling to and from the hardware stores. The truck sits most of the time in front of the house without being used. It usually sits all winter long and on and off during the summers. I bought the truck used over 10 years ago and put a pulse tech on it to maintain the two batteries that came with the truck. The same batteries are still in it and working. The way I use it they should have lasted only about another year or two. I want to see just how long they will last before they die. This thing is great! I don't have to maintain anything. It really works. Bye the way I've bought more pulse techs since the original and installed them on my motorcycle and car and no battery problems with them either. I would give this product six stars if possible. Pros: Is very simple to install, only took 10 minutes and most of that was deciding where to put the panel. I have this hooked up to a 105hp John Deere tractor that takes a full battery to crank. I hooked this up and it started charging immediately. Tractor cranks fine now. Pros: I bough it for my son who lives in Israel. After 3 weeks nobody used the car and the car had been parked in shadow, an engine was started instantly without any problem. Solar plate was located into the car under windshield. Absolutely great result! Cons: No complains and cons. Just one question. I'm not sure if I can to keep the device connected when I use the car. Pros: I've installed the above product about 6 years ago to charge my RV start battery. My 2 series 6v house batteries we're a problem until Steve suggested the above unit would work so I bought a second unit. The unit is easy to install. I used small battery clamps to attach to the batteries for easy disconnect. Cons: None and I highly recommend this product.